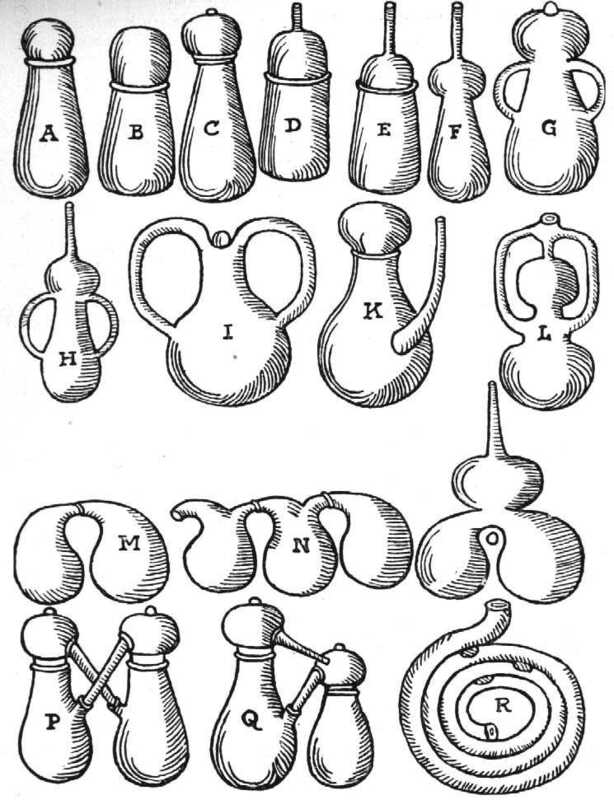 Vessels for digestion and circulation from Andreas Libavius, Alchymia..., 1606. A. B Cucurbita closed with a round flask. C .The same with a closed alembic. D, E, F. digestion vessels with exit tubes. I. Circulation apparatus with side tubes. L. The same (reflux condenser). M. "Bocia contra bociam " (double retort "columbissanter"). O. "Crumena" (double retort with a common tubulated head).